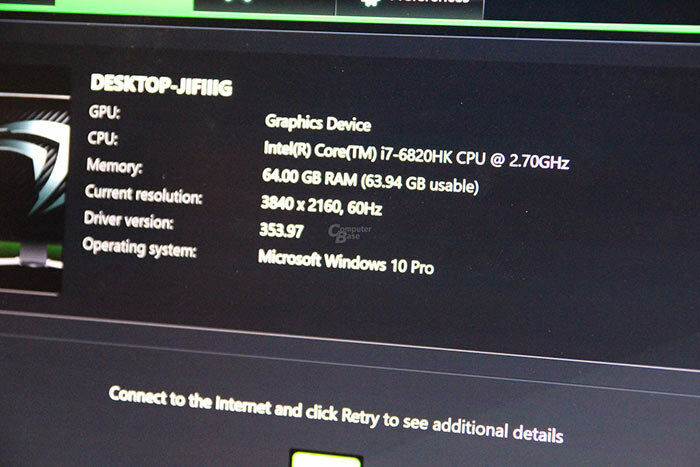 Nearly a month ago the CEO of Chinese computer maker Hasee boasted that some of his firm's upcoming laptops would feature the Nvidia GTX 990M GPU. Before that we hadn't heard of or expected such a part to be launched. The talk was that this mobile GPU would be based upon the Maxwell GM204 architecture, and be comparable to the current desktop GeForce GTX 980, perhaps even faster. 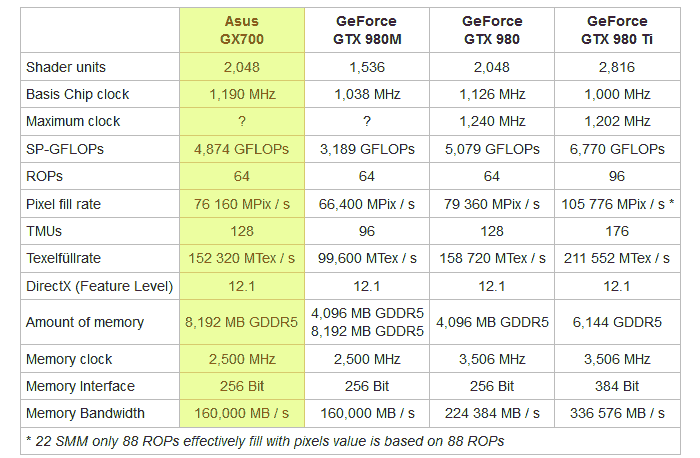 Helping make up for the lack of specifications provided by ASUS, German tech mag ComputerBase did a bit of snooping to determine the precise tech specs of the ROG GX700 laptop, perhaps to find out why it would require that water cooling setup. The CPU wasn't a big surprise. This Windows 10 gaming system features a 45 watt Intel Core i7-6820HK with base clock speed of 2.7 GHz and turbo up to 3.6GHz. This unlocked chip has 8MB L3 cache and an integrated HD 530 GPU. That shouldn't need external water cooling. 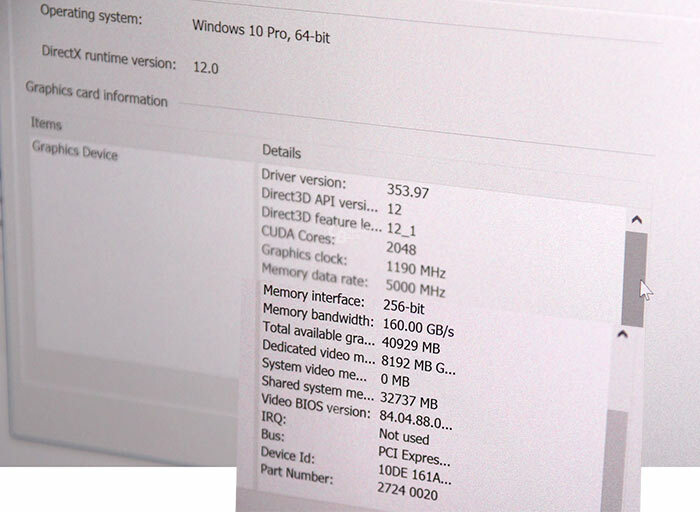 Looking through the graphics card info pages, in the Windows 10 control panels, ComputerBase uncovered details of the GPU. You can see from the screenshot above that the GPU in the ROG GX700 has 2048 CUDA cores with a core clock speed of 1190MHz, its 8GB of video memory runs at an effective 5000MHz on a 256-bit bus providing 160GB/s bandwidth. 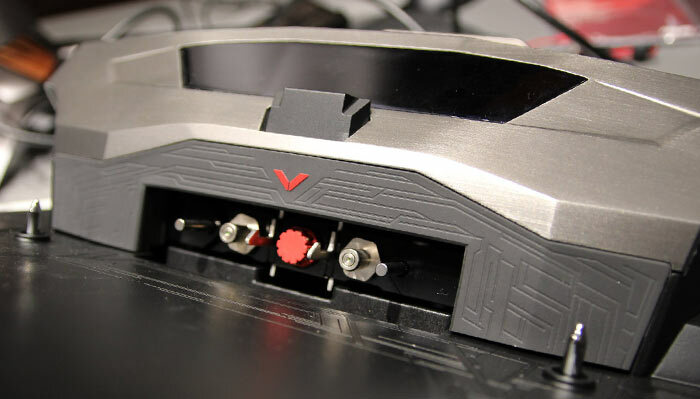 The external cooling lump and dock is dedicated to keeping the GTX 990M graphics card ticking along amicably, according to the German tech site, it doesn't contribute to CPU cooling. 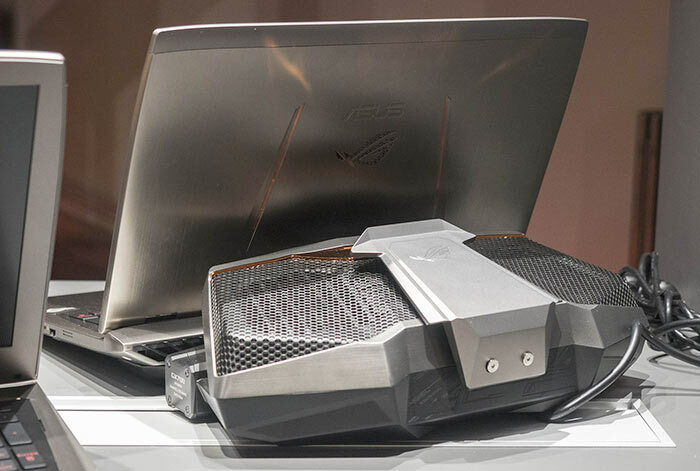 The ASUS ROG GX700 17-inch 4K portable gaming machine will cost around US$4,000, it is estimated. I mentioned it on the other thread for this laptop but I'm not that impressed by this. I much prefer the alienware “graphics amplifier” solution so that in theory the laptop itself can be fairly portable. I always loved the Sony Vaio Z series for that. Given that this only cools the GPU and the CPU as well seems like a trick missed. This plus the price tag means I'm pretty sure this is pointless. I would be most surprised if the graphics card is anywhere near the performance of a desktop 980 when under standard cooling as well, it's going to need to throttle like crazy. I agree about the graphics amplifier. I'd prefer a small laptop I can carry around with me and then dock it to a rig when I get home. Though it does defeat the idea of taking a portable gaming rig with you - unless you take the dock and amplifier as well. It would be almost as easy to cart your desktop around and get a better experience! That is the daftest thing I've seen since a 4k display on a 5.5-inch phone.